With names like Ra’s al Ghul and Victor Von Doom, many great comic book villains were probably born with their careers set on evil. And, boy, do they have a resume list to show for it. Comic book supervillains have committed all manner of crimes, heinous and despicable, from a crazed clown trying to drive the police commissioner mad by forcing him to watch his paralyzed daughter getting violated, to an intergalactic despot building an army of followers who draw their power from the yellow light of fear, to the overlord of the planet Apokolips who tries to find an equation to destroy free will itself. Yeah, supervillains are a nasty lot… most of the time any way. Just like how The Punisher found his way into the ranks of the superheroes, not every super-adversary is a power hungry megalomaniac. Some are people who are just trying to do what they think is right. Some are just helpless, abused, worn-down people who have nothing better to do. And, some people just had one bad day. These are villains who, once you get to know them, aren’t so villainous after all. Everyone knows the story of Batman: the boy who watched his parents gunned down by a low-life criminal, and declared his lifelong battle against the forces of crime, to make sure no one ever had to suffer through what he had. Prometheus is an inverted case. The son of two criminal hippies, Prometheus (we never learn his real name), traveled the country with his parents for years until law enforcement agents cornered the three of them, and shot his parents down in front of his eyes. Prometheus’s hair turned white due to the trauma, and declared that he would spend his life battling the forces of justice. While Prometheus doesn’t have the most prolific record in supervillain history (he did come close to defeating the JLA once, and then later appeared in the awful Cry for Justice mini-series), his story serves as a reflection of the “Why?” in super-hero stories. Prometheus views the forces of justice as an oppressor, who reign an iron fist down on people like his parents, who in his eyes, weren’t doing anything wrong. It is very much a case of nature vs. nurture, and perhaps in an alternate reality, Prometheus could have been a great hero. From the panels of Alan Moore’s acclaimed graphic novel on the nature of the superhero itself, Adrian Veidt is a manipulator to put Svengali to shame. 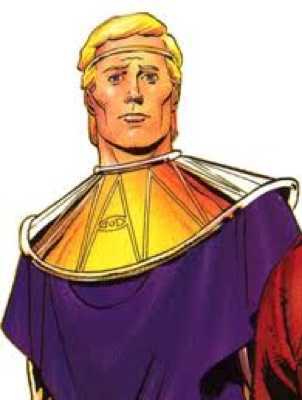 Once a member of the Watchmen, Veidt was known as Ozymandias, and was considered to be the smartest man in the world. The novel itself details Veidt’s retirement from ‘costumed-adventuring’ like the other members of the team, along with the revelation that the murders that have been occurring were directed by him. At the end of the book, Veidt nukes New York City, in order to unite the world (in the midst of a cold war) against a false alien menace. While Ozymandias may have more of a superiority complex then a desire to truly do good to the world (it’s a deep novel), he is nonetheless, believing that he is doing the right thing. Veidt desires not power, not wealth, but simply peace, and is willing to cross the line to obtain it. And, while his plan is certainly full of holes for someone who claims to the be world’s smartest man, Veidt is a reflection of what someone with that much power could do in the real world, all in the name of peace & justice. It’s difficult to explain, but read Watchmen and you’ll see that nothing is black and white. Dr. Curt Connors began as Peter Parker’s friend and fellow scientist, until experimenting with lizard DNA in an attempt to regrow his amputated arm had a horrible side effect. 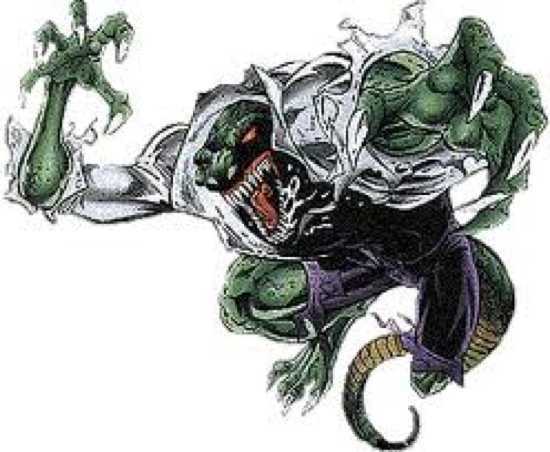 Connors became the Lizard, and repeated an endless pattern of trying to keep his alternate personality under control, losing it, and having Spider-Man develop a temporary cure. There is little room to indict on Connors predicament, as he is very much a victim of his own sensible ambitions. He is Spider-Man’s friend, and has helped him scientifically on numerous occasions, cursed with a violent altar-ego he can’t control. He’s lost his humanity, his career, his family, all over an attempt at regaining something he lost. The Joker once said that all it takes to drive a person insane is one bad day. Curt Connors has been living with the results of that day for his entire continuity. Don’t let Arnold’s performance as this great villain in Joel Schumacher’s “Batman & Robin” fool you; Mr. Freeze is a tragic villain if there ever was one. He began as a gimmick-based villain during the Silver Age of Comics. It wasn’t until Paul Dini, co-creator of Batman: The Animated Series imagined a new form for the character, that he truly got a chance to shine. In the episode “Heart of Ice” Batman faces Mr. Freeze for the first time, when Freeze launched ice-based attacks on divisions of a Gotham based company. 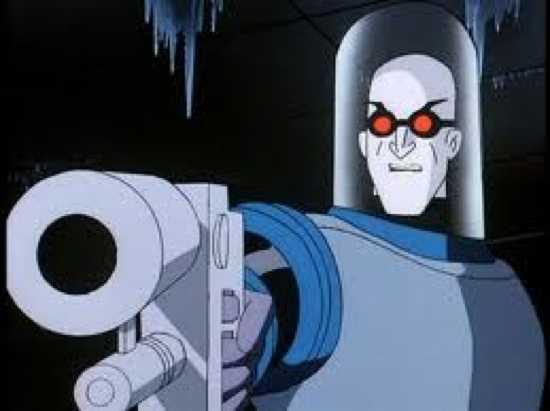 Batman then discovered that Freeze began life as Dr. Victor Fries, a scientist who specialized in cryogenics. Fries’ wife, Nora, had contracted a terminal disease, and Fries, using money he had embezzled from a science experiment the company had hired him for, cryogenically froze her so that he could search for a cure while she waited. After going over-budget, the CEO discovers Fries’ embezzlement and pulls the plug on Nora, leaving her to die from her illness. When Fries tries to stop him, he gets knocked into a bunch of chemicals, which leave him in a state where his body cannot survive out of sub-zero temperatures, hence the freeze suit. “Heart of Ice” went on to win an Emmy and has had its story adapted into mainstream Batman continuity. Now, Mr. Freeze is the tragic villain in Batman’s rogues gallery, always working alone and wanting to spread cold and despair onto all those he encounters, especially the man who ruined his chance for revenge against those who killed his wife: Batman. Depending on who you’re talking to, Bizarro is either an imperfect clone of Superman, or a reversed version of Superman from another world. The one thing that is consistent is that Bizarro is the 10-year-old with issues in DC’s supervillain lineup. 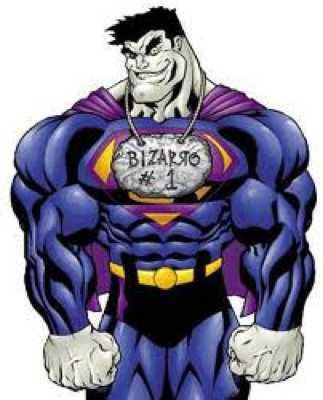 Bizarro’s intelligence is that of someone under ten, with all the powers of Superman, and spends his time either being used by other, smarter super-villains (Lex Luthor, The Joker, etc.) or just getting angry and fighting Superman. But, at heart, Bizarro just wants to be like Superman, albeit in his own, inverted way. He can’t control his powers, he’s too dumb to truly discern right from wrong, and uses his powers as an outlet for anger and frustration that he himself can’t fully understand. It’s almost like Bizarro was constructed as a massive manipulation tool for readers’ sympathies. Another character brought to us from Batman: The Animated Series, and created by Paul Dini. Dr. Harleen Quinzel was an intern at Arkham Asylum, who attempted to get inside the mind of the Joker so she could write a tell all book on the subject. What emerged was “Silence of the Lambs” if Jodie Foster hadn’t matched Hannibal in intelligence. 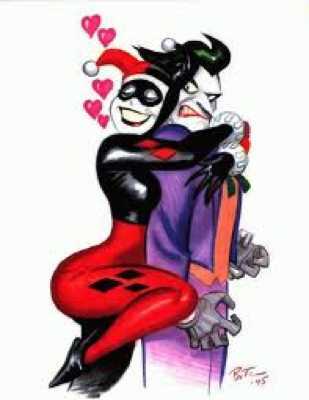 By trying to get inside Joker’s mind, Joker got into the good doctors, and she ended up falling for him, and becoming his sidekick and girlfriend, Harley Quinn (get it?). She’s been adapted into the comics, where she’s become a fan favorite, and is always involved in some sort of on-again off-again relationship with The Joker. And, as you’d suspect, a psychotic killing clown prime of crime doesn’t make for the best person to have as your significant other. Harley has become someone of an icon for abusive relationships, as Joker is constantly cruel to her, always telling her she “isn’t getting the joke” and pushing her out of windows. Sadly, Harley finds it hard to go back, and just ends up crawling back to Mr. J, convinced of her own worthlessness, and blaming herself for upsetting him. And I thought Bizarro was sad. This thousand year old arch-nemesis of Captain Marvel (who’s actually a DC creation despite the name), has only recently shown himself to be as sympathetic as this list qualifies him for. Adam hails from ancient Egypt, and draws his powers from the gods of their pantheon. After removing the ruthless dictator of his country from power, Adam took control and ended up failing in the long run, largely due to the deaths of his family members. After launching a World War, Adam takes his status as a corrupted anti-hero, who simply wants to protect what he loves in the world, namely his home and his people, but is driven to villainous means due to his personality and desperation. 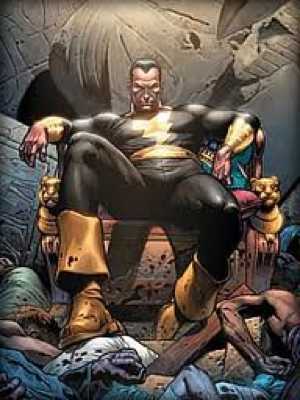 Black Adam’s story is one of a failed hero, who is eventually replaced by the boy scout Captain Marvel, and his constant anger and need to have things the way he believes they should be. Adam has even sided with heroes from time to time, including nearly sacrificing himself to repel the forces of Darkseid. We can only hope that he doesn’t get corrupted any further. While Miss Selina Kyle probably has the most sympathetic back story of any character on this list, she’s become so far from villainy and is actually so tame when it comes to her crimes, she ranks higher as an anti-hero than a straightforward villain. Beginning her story as a prostitute in Gotham’s seedy underbelly, Selina learned to survive by being as tough as nails, and as flexible as a cat, going on to don the famous costume when times hit especially hard. She has been a jewel thief for most of her career in crime, and is always on the look out for herself and her surrogate sister Holly Robinson. 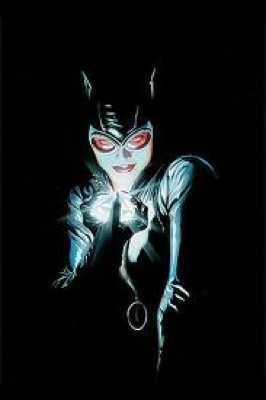 Selina never asked to be a criminal, she just did what she had to do to survive, and just got used to it over time. She’s also assertive as hell, always looking out for number one, and can side with anyone who can benefit her needs, which is usually Batman. The relationship between herself and Batman has become one of the enduring dualities in comic book history, as Batman rarely battles her in her criminal doings, and the two have even been romantically involved at several points, leading to her discovering Batman’s secret identity. With a troubled past, a hard-times-call-for-such-measures approach to life, and actually managing to get to Bruce Wayne’s soft side, Catwoman is so layered, that she barely even qualifies as a supervillain. Harvey Dent is Batman’s greatest failure, and a constant reminder of how much someone call fall from grace. Once the bold and crime-fighting district attorney who was on the verge of cleaning up Gotham for good, Dent’s own personal demons arose at just the wrong time. A childhood full of abuse and hardship lead to Dent’s revelation of a split-personality that he could barely control. Again keeping with the Joker’s idea of one bad day, Dent was finally pushed over the edge when a gangster threw acid in his face during a trial, which lead to the left side of his face hideously melted away. The psychological and physical trauma overwhelmed Dent, leading to self-doubt, self-loathing, and the violent altar-ego influencing his other half. 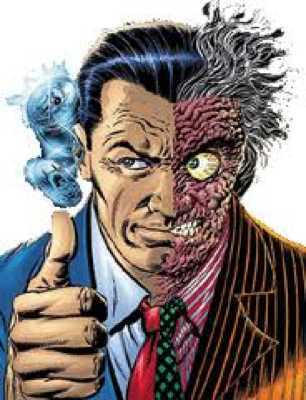 Dent eventually became Two-Face, a villain at odds with his own duality, and so tortured that he couldn’t even tell right from wrong, and left all of his decisions to the fair flip of a coin. To this day, Two-Face not only is a victim as much as he is a tortured soul, but he represents Batman’s biggest failure in losing someone as good as Harvey Dent. Many are familiar with this story due to The Dark Knight, which perfectly summed up what Two-Face is: confused, angry, unsatisfied, and tortured. A man who lost control of himself, and thus, surrenders all in his life to chance. Whether he is Max Eisenhardt, Magnus, or Erik Lehnsherr. Whether he is Sir Ian McKellan or Michael Fassbender. Whether he wears a stupid looking bucket on his head, or bathes himself in purple, Magneto is everything a supervillain needs to be. He is ruthless, incredibly powerful, has done horrible things, and can justify all of it. Magneto is a survivor of the Holocaust, but not without losing his family and his home, and witnessing first hand what truly horrible things human beings can do each other. 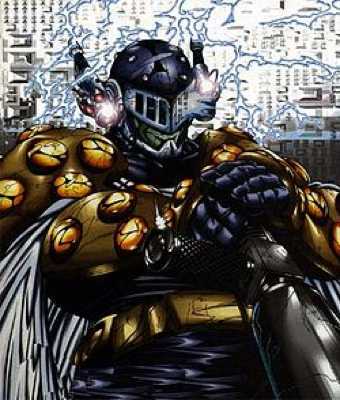 After discovering his mutant power to control magnetic fields and calling himself Magnus, he clashes with his close friend Charles Xavier over the hypothetical existence of a new race of humanity (which are revealed to be mutants). Xavier believes in peaceful coexistence between mutants and humans, but Magnus’ fear and first hand accounts of the Holocaust drive him to believe in inevitable war between the species. After discovering that Xavier is a mutant, Magnus becomes Magneto, and leaves his friend to found the X-Men. Originally portrayed as a megalomaniac, Magneto has become the Malcolm X to Xavier’s Martin Luther King. Magneto believes in protecting mutant kind from humanity that hates them, and is willing to use whatever means necessary (sound familiar?) to achieve that. 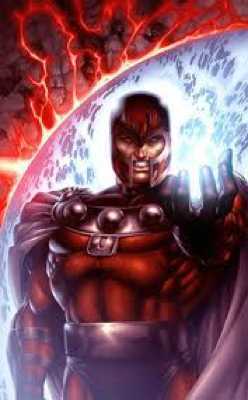 Magneto stands as the self-imposed realist to Xavier’s dream, using his vast power to help keep mutant-kind safe from decimation and persecution, a fear he has every reason to believe given his backstory. He has even joined his enemies, the X-Men, to carry on his friend Xavier’s dream after Xavier supposedly died. He’s the Malcolm X of mutants, and given the story of Malcolm X, only close-minded people wouldn’t find either case sympathetic, and even valid.